Lissy Sanders Compton: LIGHTS, CAMERA, ACTION!!!! A long long time ago, I always thought it would be great to be an actress out in Hollywood. Im sure a lot of girls have this dream of being on the big screen with Brad Pitt! HA Well, time went by and reality set in and I realized that this was not really an option. So.....what is the next best thing to being in a movie....having your artwork in a movie!!! 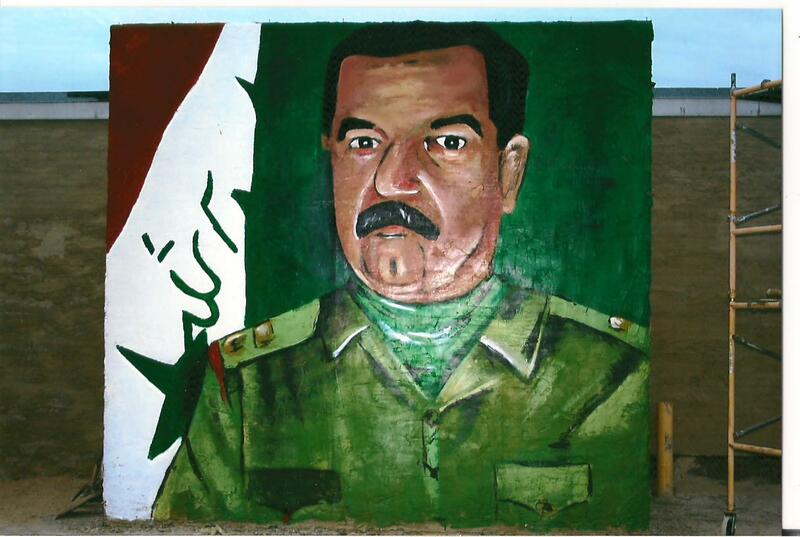 I was very fortunate a year or so ago to get to paint a large scale mural of Saddam Hussein for the locally filmed movie "Flag of My Father". It was an honor to get to do this for my friend, Rodney Ray who produced, directed, etc. this fantastic christian based film. Then, this summer, filming began for Rodney's latest movie, "New Hope". It's another Christian based film that deals with teen suicide. Brent and I were lucky enough to have one day of filming at our home. I cant give too much away about the movie (the big premiere is scheduled for Feb 10,2012), but the painting shown is in the background of one of the scenes. This was a painting I created in 2011 called "To Have and To...", and was done in charcoal and oil on canvas. So very neat to see your own art on the big screen!!! The other photograph depicts two of the actors relaxing in front of the painting in-between filming.